RIM will soon introduce a new line of BlackBerry Curve. 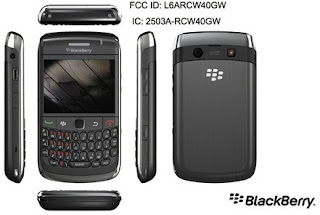 This time rumored RIM will be launching BlackBerry Curve 8980. BlackBerry Curve 8980 has been registered on the Federal Communications Commission (FCC) and is awaiting approval from the FCC. No information about the full specifications of the BlackBerry Curve 8980, but it seems like the BlackBerry Curve 8980 is equipped with QVGA display and 3G network support.